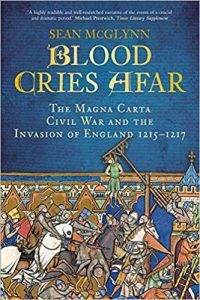 Sean McGlynn is the author of three critically acclaimed books: Blood Cries Afar: The Forgotten Invasion of England 1216 (2011; expanded 2nd edn 2015 with new subtitle, The Magna Carta War and the Invasion of England, 1215-17­); By Sword and Fire: Cruelty and Atrocity in Medieval Warfare (2008; also in Spanish and Czech translations); and Kill Them All! 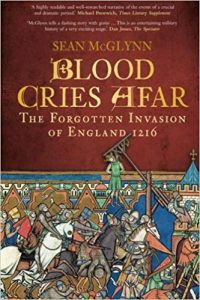 Cathars and Carnage in the Albigensian Crusade (2015; expanded 2nd edn 2018). He refers to these as his “Blood and Gore trilogy”. Next up is The Knight, to be published by Reaktion in 2018/2019. 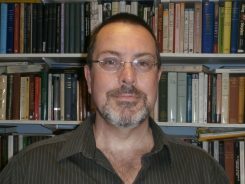 He is a regular contributor to The Spectator, History Today and BBC History. 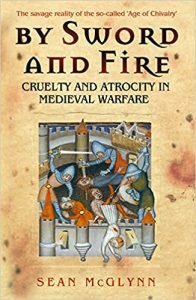 He is currently lecturing for Plymouth University at Strode College, Somerset, where he teaches undergraduates all things medieval (well, the interesting parts, anyway): eg, Wars of the Roses, Joan of Arc, Medieval Apocalypse, Heresy and Inquisition in the Middle Ages and Robin Hood. He now lectures part-time so that he can concentrate more on his writing and his growing speaking engagements. The future may also contain some fiction writing. More dinosaur than old school, he is considering an attempt to work the Google on the internet machine to create a “website”.